Monty and Kristin are very active in the premiere world country dance circuit, the United Country Western Dance Council. Kristin, whose full time career since college, describes herself as having “UCWDC DNA”. In addition to earning 9 World titles, Kristin is also a Journeyman level certified judge, judging all levels of competition. 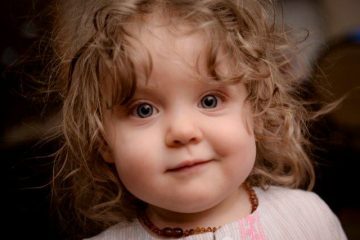 She is also widely sought as an expert in all of the competitive dances (Triple Two, Polka, Night Club 2 step, Cha Cha, Waltz, Country 2 step, East Coast Swing and West Coast Swing). 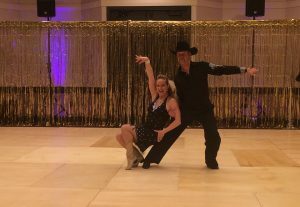 There are 4 primary ways in which Monty and Kristin help their student base participate in UCWDC Competitions….Pro-Am, Couples, Line Dancing, and the “Ham Jam Team”. Pro-Am competition means a student (am) dancing with their instructor (pro). This is a very comfortable way of competing as you have the confidence and stability that comes from competing with your teacher. We highly recommend pro am competition. The pace for each student is defined by their personal goals. Some take 1 lesson per month, while others take 5 or more per week. Pro-am students can choose to learn 1 dance or all 8. Pricing for Pro-Am students is discounted for both group lessons and privates, due to the increased commitment level that is expected from each student. Couples Competition– If you have an amateur partner in mind that you would like to compete with, Monty and Kristin can take you through this entire process as well. They currently coach competitive couples from Newcomer level to Masters. They can choreograph, and coach you through every step of the way!The Ham Jam Team– Glory Dance has a competitive team. The team has been extremely successful and enjoyable for all participants. In order to join the team you need to be a student of Monty and Kristin’s and very comfortable with your basics in WCS, Country 2 step, NC2 and Cha Cha. 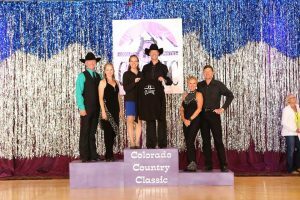 The team debuted in 2015 at the Colorado Country Classic with an impressive 24 person roster, and went on to win World Championships in the team division. Call us if you are interested in joining the team.